Tightwad: Advent calendar, or library? How do you like this idea? Start a new family tradition: buy 24 (used, perhaps?) 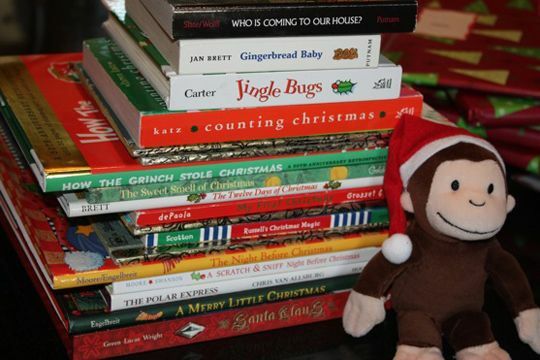 Christmas books, wrap them and open one everyday. Snuggle under a blanket and read them together. Wrap 'em up and open them next year, and the year after. Tightwad loves this. Merry merry. That's a great idea. I'd love to do this for my grandson next year. A tip is to start looking at garage sales and thrift stores for the books now. Or you could even go looking for a couple of new books at op shops together every year - then put them aside to only be read at Xmas!